Categories: Jewelry, Newly Arrived. 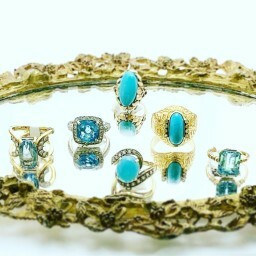 Tags: Diamonds, rings, topaz, Turquoise. Topaz and Turquoise rings in white gold or yellow gold some have diamonds.